LOOP’s programme consists of a showcase of selected artists’ video and films presented by their galleries; a special project and meeting ground known as the POOL; and the LOOP Studies, a professional forum of debate. Each year, a reduced selection of artists’ films, in which premières are taken into special consideration, is undertaken by the LOOP Committee. Chaired by collector Jean-Conrad Lemaître and composed by collectors Isabelle Lemaître, Josée and Marc Gensollen, Haro Cumbusyan and gallerist Christopher Grimes (Christopher Grimes Gallery, Santa Monica), participation in LOOP is exclusively based on the committee’s review of the artists’ work proposed. Understanding that we work with time-based media, each gallery exhibits one film project in the hotel rooms of the hotel, thus creating a setting tightly-focused on the artists’ work and keeping the experience of discovery at the core of the event. Furthermore, the reduced scale of the event generates a lively familiar atmosphere which is moreover articulated by a highly-specialised Professional & Collector’s Programme. Also, since its inception, LOOP distinguishes the most outstanding piece and gallery proposal of each edition with the LOOP Awards, which are selected by an international jury of experts. The POOL is the special projects and meeting ground of the event: a large open and versatile space to relax and meet where special projects that exceed the room and gallery structure take place. 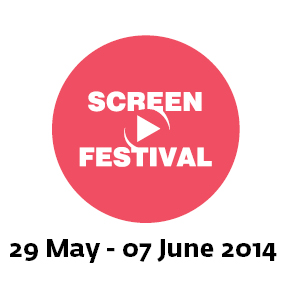 Film distributors, producers, universities to press and magazines have here their place to show, meet and discuss. In parallel and developed in collaboration with the University of Barcelona, take place the LOOP Studies, a space for professional discussion that aims to provide a collective examination on the concerns and challenges emerging in the fields of production, diffusion and management of artists’ films and videos specifically and culture production more generally. LOOP 2013 will take place on the 05th, 06th and 07th of June in Barcelona, at the Hotel Catalonia Ramblas.